Having some issues with your Android device? Try some of these troubleshooting tips and try and get back streaming. When it comes to technical difficulties the simplest answer is usually the correct one. So, firstly, turn it off and on again. If that didn’t work, we’ve tried to help by including ‘symptoms,’ so you can relate what you see on Deezer with the right issue and solution. Error message - "Unable to create a directory to store your download music and launch the application? This may be because your phone is connected to a USB port"
This is particularly effective if some of your songs have become greyed out. (there’s also a quick troubleshoot with Smart Cache if this problem persists. You can go back to using the external memory, but you may have these problems again. If you don’t want to delete your downloads but the cache in your app is full, you can remove some of the data and refresh the smart cache. Keep in mind if move the slider all the way to the left, your downloads will disappear too. Didn’t work? Try deleting your whole cache if the Smart Cache refresh hasn’t worked. If you have undergone the two troubleshoots above and your songs are still greyed out, this may be due to the rights. The songs may have been temporarily taken off of Deezer while we renegotiate terms. Or, you could be in offline mode and not know it. Have a quick check. Music pausing after each song while using the headphone jack? Do you have SoundAlive downloaded on your phone? If you do – easy peasy. Disable the SoundAlive+ button, and you should be good to go. Have to keep hitting play after your songs finish? There are a few apps that put Deezer on hibernate mode – such as security and antivirus applications. Have a quick look in your phone settings or perhaps one of the security apps to see if one is enabled. If none of these get you streaming, have a look to see if anyone has posted a thread with the same problem. Have you tried any of the troubleshooting here? For example, have you tried reinstalling the app? Yes, I have tried that. Doesn't work unfortunately. Any suggestions? Have you tried what I suggested above your reply as well? Music not playing full songs. Jumps around. There seems to be a problem with my app on my phone its just not playing any of the songs i select and i have tried using both a wifi and mobile data connection. Help please. When I want to listen to a song, I get the message (error) that the song can't be played. Then I click on "try it again" and I still get the message it can't be played. 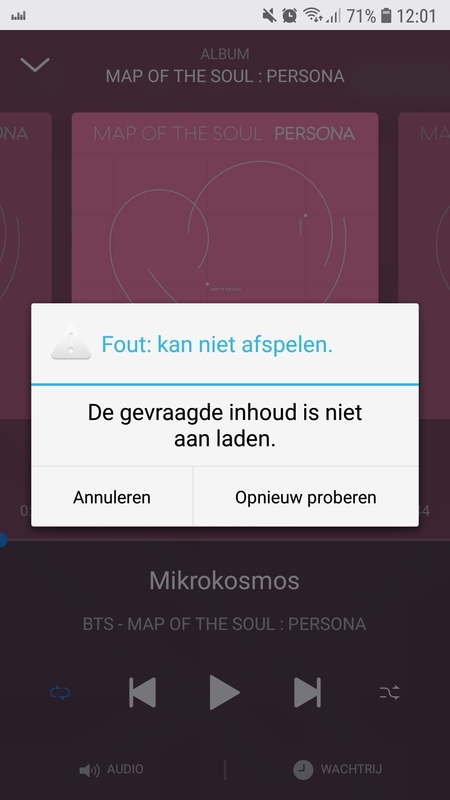 Can I do something about dat message so I can play the song? I don't get the message with all my songs but a few.